If you're traveling to Florence, Italy, you want to go home with a special souvenir: a leather bag, a gold bracelet, or a beautiful set of stationery. But selecting which wallet or jacket to buy can be an intimidating experience. How do you know if you're buying something authentic, made locally and in a traditional way? How do you determine if you've fallen prey to one of the city's many tourist traps? Florence is full of tourist traps and knockoffs passed off as authentic. Do you know how to tell the treasures from the trash? In Florence, it's not easy to tell the treasures from the trash. This is true now more than ever before, as increasing numbers of souvenirs flood into Florence, imported from overseas and passed off as authentic. There is no substitute for an educated buyer. Laura Morelli leads you to the city's most authentic arts - the centuries-old trades of leather working, wood turning, silk spinning, and other traditions. Wouldn't you rather support authentic Florentine master artisans than importers looking to turn a quick profit without any connection to Florence at all? Florence boasts some of the most famous artistic traditions in the world. Here's what you need to know about them. 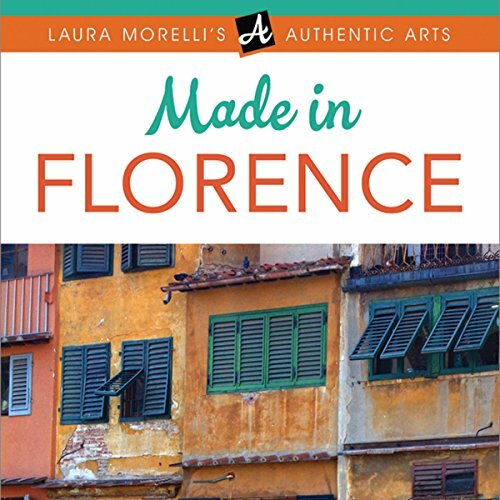 Laura Morelli leads you beyond the souvenir shops for an immersive cultural experience that you won't find in any other guidebook. This indispensable guide includes practical tips for locating the most authentic goods in one of the busiest tourist destinations in the world. Packed with useful information on pricing, quality, and value, and with a comprehensive resource guide, this audiobook is the perfect guide for anyone wanting to bring home the unique traditions of the birthplace of the Renaissance.